The French resort of Tignes is linked to the popular ski resort of Val d’Isere and thanks to its high altitude it has guaranteed snow conditions both early and late in the ski season. Both resorts have 300km of ski runs, spread over 154 varied ski slopes for all different levels and you will have access to 6 slalom runs, a gliss’ park, a mogul park and 2 snow parks so there is plenty of space to work on your ski and snowboarding skills. If you wish to try something else other than skiing or snowboarding there are plenty of options to choose from. There is ice diving, dog sledding, hand gliding, skidoo riding, ice climbing, parascending, ski-joring (being pulled along by horses), skating, snowshoeing, indoor tennis and heliskiing and much more. We've partnered with Ongosa, who recommend and book the best snowsports instructors and guides in Tignes for you. When it comes to eating in Tignes you will be spoilt for choice. There is a wealth of restaurants to choose from, both in town and on the mountain, all providing a fantastic choice of food from traditional Savoyard food to world class cuisine. 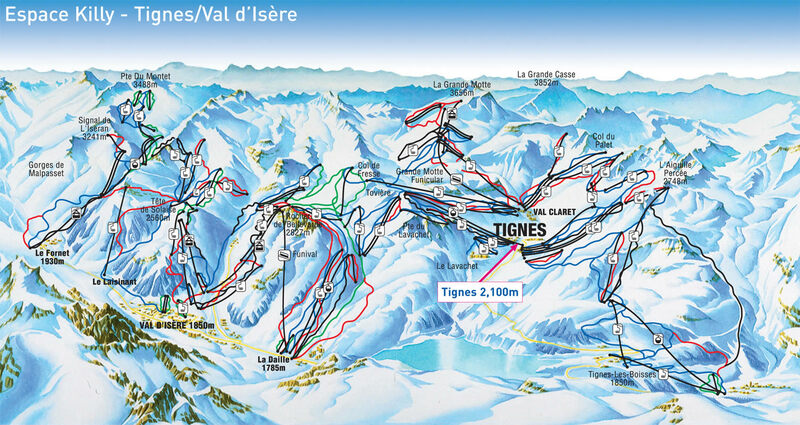 Tignes is a lively resort with a great range of bars and clubs. Whether you wish to dance along to cheesy pop in a traditional bar, dance through the night at one of the resorts nightclubs or simply have a nice quiet drink in a nice cosy pub, Tignes has something to suit everyone. Summer in Tignes is 100% sports and there is something for everyone to do. It offers summer skiing for those wishing to practice their skills ready for the winter season, mountain biking, hiking, kayaking, Archery, Tennis and much more. For non-sport lovers there are plenty of events, markets and festival to enjoy from the “MusicAlp” a classical music festival to the “Fete des Brevieres” which is a festival with many activities, BBQ, fireworks and a ball to celebrate Bastille day. Whatever you are looking for from a summer holiday, Tignes has it all. 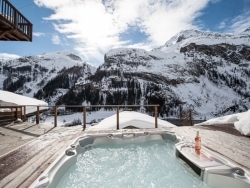 [short_description] => Luxury catered or self-catered chalet with hot tub, fireplace and wifi close to the slopes at Tignes Les Brevieres. Stunning mountain views. [luxury_short_description] => Powder Ridge is an ideal chalet for groups of families or friends with 6 ensuite bedrooms, spacious living room and large deck with hot-tub. Powder Ridge is an ideal chalet for groups of families or friends with 6 ensuite bedrooms, spacious living room and large deck with hot-tub.